Thank You Email After Second Interview – 4+ Free Word, Exccel, PDF Format Download! Writing anything is not easy, and the inability to write a good email letter could be the reason why one might not send a thank you email letter after second interview. But, no one said that you must have Shakespeare’s type of writing skills to write a good Post Interview Thank You Email. All you need is a blank word, PDF or excel template and some nice words to put on paper. 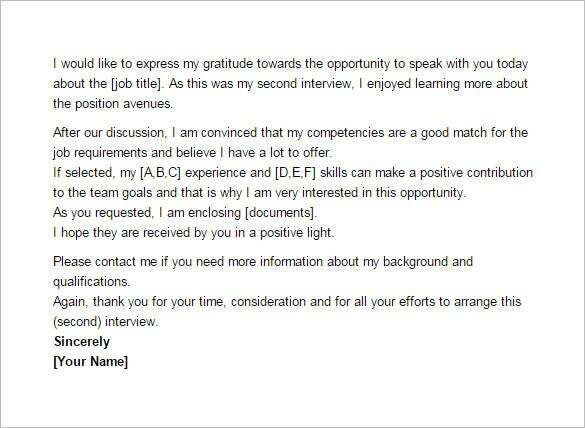 This is quite a detailed thank you email which you would be sending to your potential employer as a note of gratitude for your second interview. Added to a thank you, this email also says how keen you are to fill up the role. 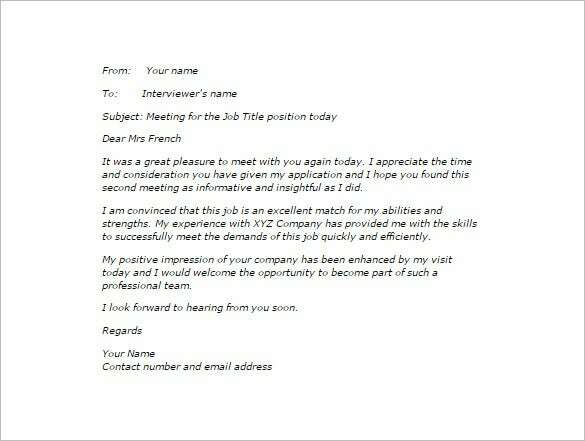 This is a short and concise thank you email which expresses your gratitude for being called upon for a second interview. Besides, the email also says how you feel strongly connected to the culture of the company. 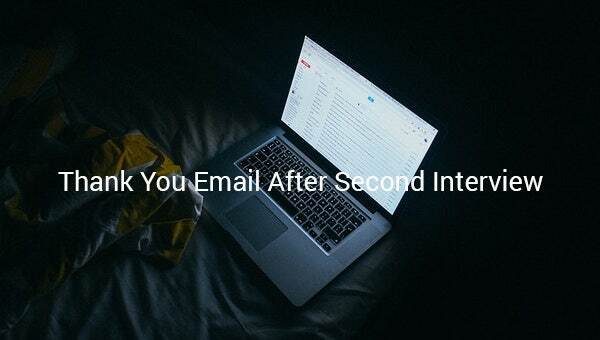 theinterviewguys.com | This follow up thank you email starts with a note of gratitude for the opportunity of the second interview. It also talks about how much you are confident to be one of the most suitable employees for the office. 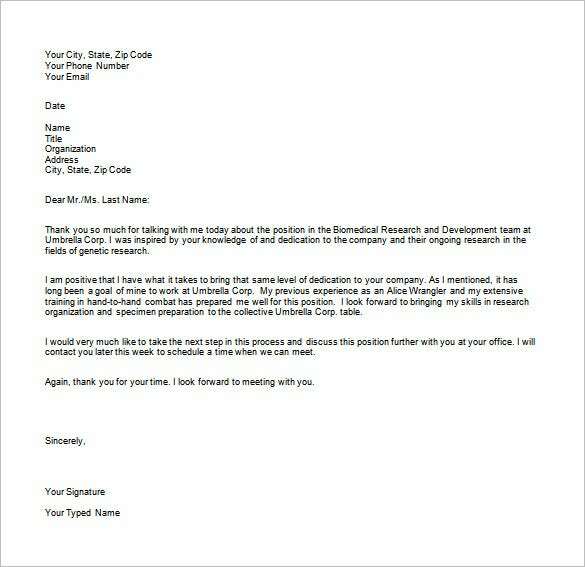 You can send this thank you email note after your second interview expressing a note of gratitude towards your prospective employer. Additionally, the note also says how much you are convinced that this job would be fantastic for you. 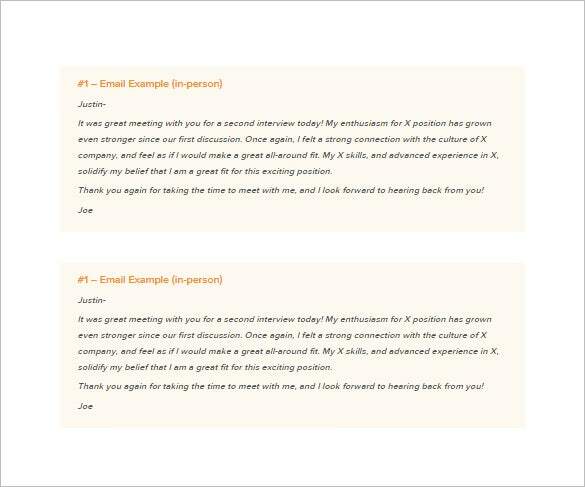 This sample thank you email begins with a thank you message for another call for interview. The email continues with discussions on how much you can contribute and how your skills would be an asset for the company.